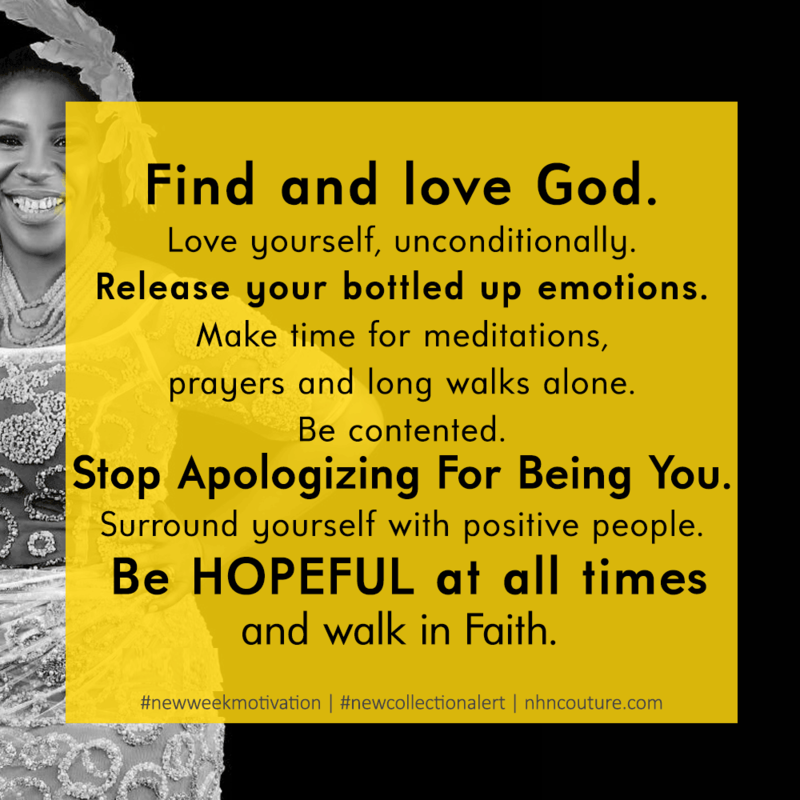 ” Find and love God. Love yourself, unconditionally. Release your bottled up emotions. Make time for meditations, prayers and long walks alone. Avoid living beyond your means. Be contented. Nurture your inner strength. Stop apologizing for being you. Live right. Surround yourself with positive people. Embrace your situation, whatever it may be”. Always believe you will surely make it. Be hopeful at all times and walk in Faith!